William Forsyth (1737 – 1804) was a Scottish botanist. 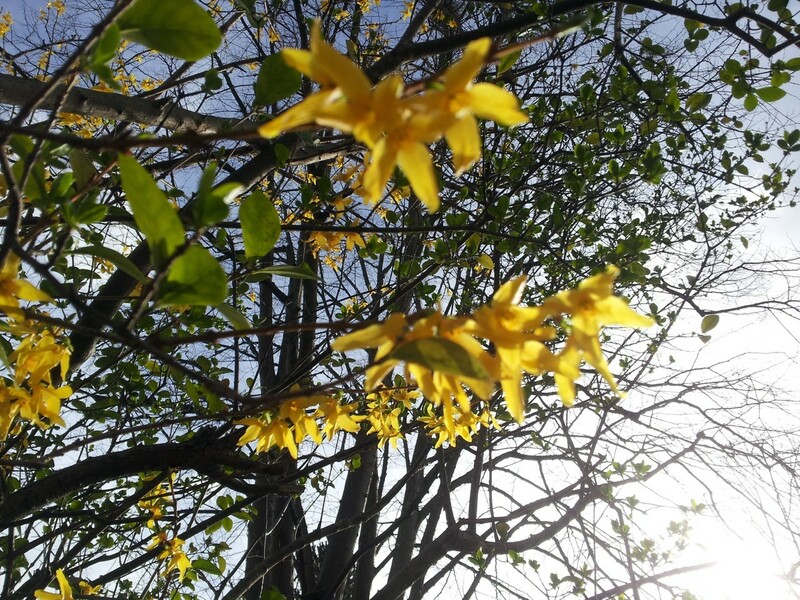 #Forsythia is named in his honour. The flowers are not quite in focus, I guess the autofocus on my phone got confused by the branches. But the light is nice. Sorry, had to repost, forgot the alt text. Spring seems to have advanced more for you than for us here. Except for some buddleja (special case) no leaves out anywhere. Some of our "daffodils" still to open. @fitheach Probably the Urban Heat Island effect. Aye, all those chippies, kebab shops, burger joints etc. pumping out heat.